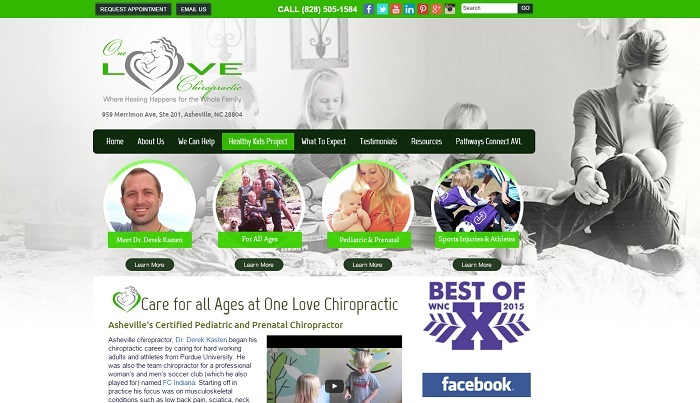 Based in Asheville, NC, One Love Chiropractic promotes the “big picture” of how natural health and well-being helps patients reach their full potential. 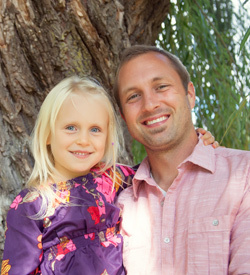 Dr. Derek Kasten and his team serve patients of all ages with chiropractic services, but they specialize in childhood neurodevelopmental disorders. One Love Chiropractic is passionate about helping children and families find hope and natural healing through comprehensive chiropractic care. As a brand new practice in a competitive jurisdiction, Dr. Kasten needed a powerful new channel to supplement his initial marketing efforts. 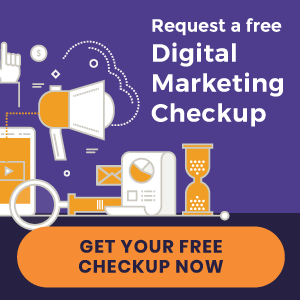 With the growing importance of the Internet, he understood the significance of having an online presence to reach new patients and supplement practice growth. As a result, Dr. Kasten partnered with Perfect Patients to help establish his online presence. The development process kicked off with a content interview. This included learning about the philosophies that drive the One Love Chiropractic team, in addition to what chiropractic services they offer patients. Our goal was to learn about Dr. Kasten’s practice and personality, as well as understand the needs of his target audience. In using Perfect Patients’ New Patient Tracker, Dr. Kasten was able to track online new patient growth so that he could validate his website’s performance. Dr. Kasten also followed our advice to further develop his online presence by cultivating a robust social media following. He gained over 1,000 followers on Facebook within only a year. He is now able to use his social media presence to improve patient retention and referrals. YouTube marketing and reputation management have further improved his ongoing marketing efforts. Dr. Kasten and his daughter.